Flick top with flint. 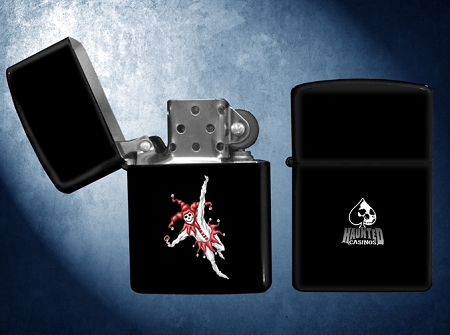 Contains no lighter fluid due to shipping. Copyright Haunted Casinos. All Rights Reserved. eCommerce Software by 3dcart.